SETH Sofilta is currently a Lead Teacher for Children and Young Learner programs at Australian Centre for Education (ACE). He has been teaching English for more than five years now. Throughout his teaching career, he has attended many professional development workshops, been a judge for various debate competitions, initiated ideas for Young Learner program like “Young Learners’ Fun Day” and “Spelling Bee Competition”, and co-written a literacy book. Moreover, he has, so far, presented at CamTESOL for three times. Professionally, he has always been fascinated in working with young learners as there are always new challenges within the classroom full of young teenagers. Learning a language is obviously not an easy task because there is a variety of skills in the language to learn including grammar, vocabulary, listening, writing, speaking and reading. No difference for English language, teaching and learning each skill presents its own challenges, and so does reading. Basically, there are three main issues in reading and fluency is one of them. Needless to say, it is hard for teachers to teach students to read fluently since a reading class is, often times, considered as one of the boring classes to be in. Nonetheless, it is not always the case when we know activities which can change this stereotype about reading. Hence, this workshop will provide you with one simple, yet practical, activity called chain-reading, which will make reading in class more engaging and rewarding toward students’ reading fluency. Moreover, you will learn how chain-reading really works through demonstration and how it affects learners’ reading habits and comprehension. 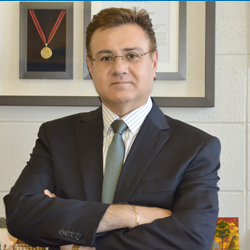 Professor Farzad Sharifian is a pioneer of Cultural Linguistics and holds the Chair in Cultural Linguistics at Monash University. He has developed a theoretical and an analytical framework of cultural cognition, cultural conceptualisations, and language, which draw on and expands the analytical tools and theoretical advancements in several disciplines and sub-disciplines, including cognitive psychology, anthropology, distributed cognition, and complexity science. The theoretical/analytical frameworks and their applications in several areas of applied linguistics including intercultural communication, cross-cultural/intercultural pragmatics, World Englishes, Teaching English as an International Language (TEIL), and political discourse analysis are the subject of Sharifian’s monographs entitled Cultural Conceptualisations and Language (John Benjamins, 2011) and Cultural Linguistics (John Benjamins, 2017). These books have widely been recognised as laying "solid theoretical and analytical grounds for what can be recognised as Cultural Linguistics". (Alexandra Bagasheva, in the journal of Language and Cognition, Vol. 4:3 (2012), pp. 243–249). Professor Sharifian is the founding Editor-in-Chief of the International Journal of Language and Culture, and the Series Editor of Cultural Linguistics book series (Springer), and the founding Series Editor of Routledge Advances in Teaching English as an International Language (Routledge). He has published articles in many edited books and in more than 25 leading international journals. His awards and honours include the prestigious Humboldt Fellowship for Experienced Researchers, from the Alexander von Humboldt Foundation, Germany. With the spread of world Englishes and the increase of intercultural communication, both of which are a result of globalisation and transcultural mobility, the call for new notions of “competence” to be applied to successful intercultural communication continues unabated. This plenary lecture focuses on the notion of “meta-cultural competence”, a competence that enables interlocutors to engage consciously in successful communication and negotiation of their cultural conceptualisations during intercultural communication. The aim is to explain how meta-cultural competence can be developed in the TEIL (Teaching English as an International Language) curriculum. I argue that TEIL curricula should provide opportunities for learners to develop this competence. Exposure to the conceptual variation (i.e., the variety of cultural conceptualisations) that characterises the English language in today’s globalised world is likely to expand the conceptual horizon of learners, allowing them to acquaint themselves with, and even internalise, unfamiliar systems of conceptualising experience. Adopting a Cultural Linguistics perspective, this talk explores different aspects of meta-cultural competence. Marsha Chan, BA, MA, Stanford University, enjoys engaging participants in interactive learning. Active in TESOL and CATESOL and winner of excellence awards for teaching, publication, presentation, and service, she facilitates workshops in the U.S. and abroad. She employs relevant technology, simple objects, body parts, and humor to enhance linguistic communication and professional development. 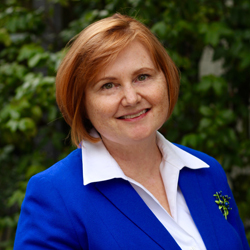 Author of printed and digital learning materials, Marsha is followed by users around the world as Pronunciation Doctor at www.youtube.com/user/PronunciationDoctor. She blogs for teachers at marshaprofdev.blogspot.com. Her presentations are listed at www.sunburstmedia.com/present/present.html. Any well-trained teacher can teach pronunciation. This session describes what teachers need to know to teach students to speak more clearly. Among the questions to be addressed: What is the basic conceptual unit of pronunciation? Segmental and suprasegmental elements: what’s the difference? Can a change in stress cause a change in meaning? Are all pronunciation errors equally important? How is listening involved? How can teachers provide useful feedback? Is accent related to a person’s identity? How can teachers faced with curricular demands include pronunciation instruction? 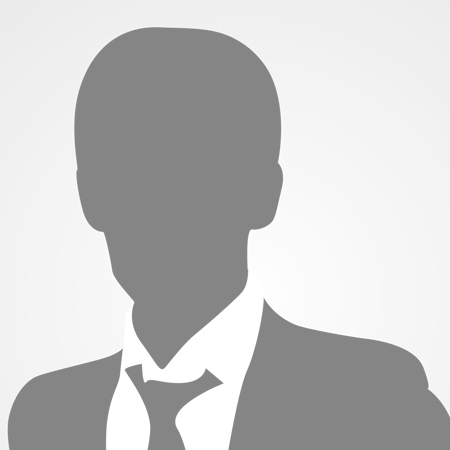 What’s the role of the student? What does a teacher need to know to teach pronunciation? Can I teach pronunciation? 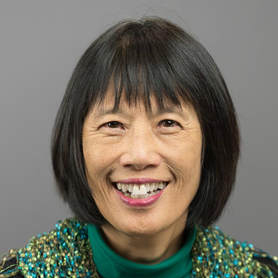 Prof. Chan, summarizing information shared on an international electronic discussion forum of pronunciation experts, delineates essential conceptual issues, describes basic oral language features, discusses fundamental instructional concerns, and offers suggestions. Participants leave with a bibliography and a training framework drawing upon current theory and practice. Roy Cross has now - to his surprise! - worked for the British Council for forty years and seen a LOT of change, some good, some less good. 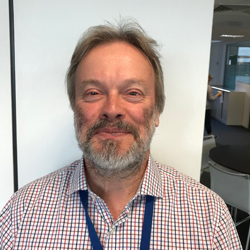 He works in London in the English for Education Systems team, focusing on evaluation and partnerships - and loves Kai Loog Keuy. My talk will offer a personal account of the changes I've observed in English language teaching around the world during a career that started in a language school in Cambridge at a time when Leo Jones’s newly-published textbook, ‘Functions of English’, embodied the revolutionary ‘functional’ approach to language teaching which was getting grammar translation teachers very worried, and has recently involved me with the ‘Boot Camp’ project here in Thailand, where teacher observation is conducted remotely using an iPad, and the ‘Plan Ceibal’ project in Uruguay, where classes in small rural schools are taught remotely by teachers on the other side of the world, in the Philippines. I will use case studies of success and failure taken from different countries at different times and suggest some of the reasons – none of them to do with technology - that underpin teacher and student success or contribute to teacher and student failure. Atsushi is Deputy Head of OECD Tokyo Centre, engaging in policy discussions with various sectors across Asia, covering diverse policy areas. Before OECD, Atsushi worked for The Economist Group and Japan Association for UN World Food Programme. 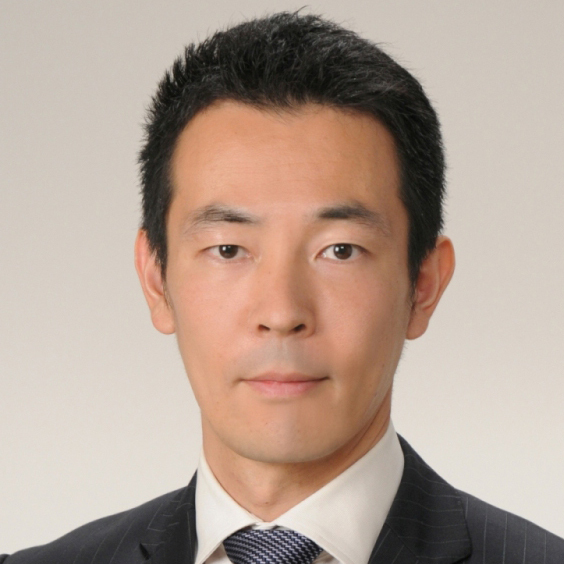 Atsushi has MSc from London School of Economics and BA from Waseda University. Children entering school in 2018 will be young adults in 2030. Schools are facing increasing demands to prepare students for rapid economic, environmental and social changes, for jobs that have not yet been created, for technologies that have not yet been invented, and to solve social problems that have not yet been anticipated. This session will discuss, based on the OECD Education 2030 project, what knowledge, skills, attitudes and values today’s students will need to shape and thrive their world in the future. Assoc. 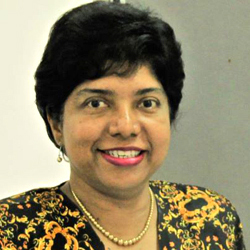 Prof. Dr. Usanee Anuruthwong is the President of the Asia-Pacific Federation on c. She has published more than 350 articles, 12 books, and 30 researches, including promotes knowledge on giftedness to the public through radio and television programs, magazines and newspapers. The most important of teachers is be able to discover student potentials and provide an appropriate learning for them. Challenge in providing an appropriated learning in the classroom usually derive from many factors. Four important components form the key structure for discovering and nurturing students: (a) the child’s special potentials, (b) the child’s levels of thinking skills, (c) Emotional skills, and (d) the child’s social skills. In general practice, the educational process usually focuses only the first component. The process often includes only achievement tests, IQ tests, or results of competitions. In fact, good technique can be used as tool to discover student abilities and ignite their learning. Some of the techniques will be shared at the conference. J. Schedler, Assistant President for Internationalization at Rangsit University in Thailand and oversees international policy and strategy. As Chair of the Executive Committee he oversees Passage to ASEAN (P2A) that unites 81 universities and 1.2 million students in 9 AMS in building Knowledge, Experience and Understanding amongst the youth. Today’s exponential change is defined by uncertainties about tomorrow. What will our society look like and what will our graduates need? How can we reach out to today’s millennials in ways that matter? How do we deal with technology that changed lives and made ‘fun’ the new buzzword in education. Yet one certainty will stand the test of time. Students will always need personal competencies and communication skills; cultural values will always influence the application and learning will always be more effective in a natural environment and when driven by interest and need. In response to these challenges Rangsit University initiated the Passage to ASEAN network in 2014 that applies short-term low-cost mobility to engage students in ASEAN by building Knowledge, Experience and Understanding. The P2A Model defines the academic integrity and learning goals of P2A Journeys where students travel overland and emerge in local cultures to complete their goals. To maintain affordability all members apply the same daily rate of 25 USD for accommodation, meals, program and onsite transportation. Since 2014 P2A has evolved as an alternative and complementary learning method. Recognizing the progression in personal competencies and communication, in 2016 Rangsit University integrated P2A in academic and language programs. Nowadays P2A unites 81 ASEAN universities and 1.2 million students in 9 countries and the Association was recently endorsed by ASEAN. This presentation will show the Case Study of P2A Integration and how it supports the vision of One ASEAN. Bordin Waelateh got Ed.D. from Oklahoma State University in 2009 and he is currently teaching English at Prince of Songkla University, Pattani Campus. His research interests are in TESL/TEFL, multicultural education, as well as peace resolutions especially in the southernmost border provinces of Thailand. The three southern border provinces of Thailand, Pattani, Yala, and Narathiwat have been encountered with violence and uncertainty for over a decade. The incidents could illuminate certain negative perceptions especially the outsiders to the areas. Pattani Retweet project was formed by a group of PSU Pattani students and a lecturer aiming to motivate the participants a sense of patriotism of their homeland by presenting the beauty of the local culture and ways of life of local people in a form of booklet. The photos and their captions as well as cultural notes in English and Thai were the highlight of the project. The participants were not only from English-majored students but also from Journalism and Multimedia fields of study. They could appreciate their local identities through their task of collaboration with their team and imagination in taking photos as well as crafting their captions to communicate with the readers of Pattani Retweet booklets. Kornwipa Poonpon is an EFL assistant professor and the head of Center for English Language Excellence at Khon Kaen University, Thailand. 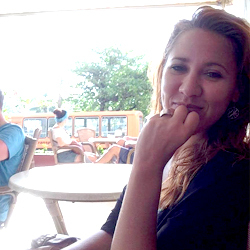 She received her Ph.D. in Applied Linguistics from Northern Arizona University, funded by Fulbright Scholarship. Her research interests include second language assessment, corpus linguistics, and EAP and ESP pedagogy. This session introduces you to an innovative English teaching and learning project, under Khon Kaen University Smart Learning Academy. The project aims to revolutionize ELT practice and to enhance English ability of generation Z learners of junior high schools in Northeast Thailand. The session begins with an initiating study on the development of an English teaching model for a Northeastern Thai context. How this model was used to design and develop an instructional innovation under the KKU Smart Learning project is subsequently demonstrated. The session highlights how the innovation was implemented in 205 schools in 15 Secondary Educational Service Area Offices with about 300 English language teachers and 20,000 students participating in the project. The presentation closes with a discussion of school-level and classroom-level changes created by the innovation as well as chances for further improvement through the eyes of both in-service English teachers and junior high school students. 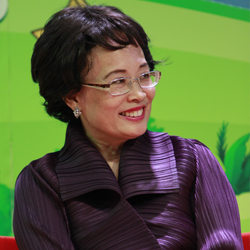 Mary Shepard Wong, Ph.D., is Professor / Director of TESOL at Azusa Pacific University in Southern California. 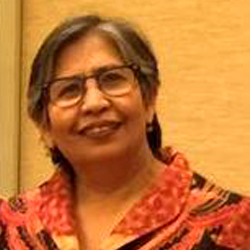 She is a two-time Fulbright scholar and author/editor of four books. She has taught in several countries and has conducted over 100 presentations on ELT, intercultural competence, professional growth, NNEST, and teacher identity. With the ASEAN Charter’s declaration in 2009 declaring English as its sole working language, and the widespread desire of to acquire English in the region, effective English teachers are in high demand. Thus, university teacher preparation programs are a key concern. This presentation reviews several studies that looked at the challenges among English language teacher preparation programs in the ASEAN context and what is and could be done to address them. The presenter will discuss several findings that emerged from the studies as well as the recommendations for ELT in the ASEAN region, including the potential for ASEAN educators to collaborate to address the challenges. Participants will be provided time to offer comments and ask questions. Heather Van Fleet has an M.Ed. 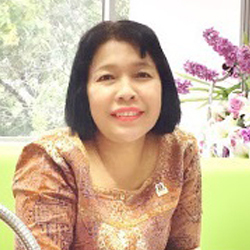 in TESOL and is the Professional Learning Director at AUA Language Center in Thailand. She is a certified Evocative Coach that coaches teachers and school leaders to support their professional growth. She has also trained with Mindful Schools and is a mindfulness teacher. The role of the teacher has been changing over the last several decades from sage on the stage to guide on the side. This transformation calls for an agile teacher that embodies the concept of 'teacher presence', the ability to connect with and respond to 'what is' in the learning environment with an awareness of themselves, the learners, and the learning happening in the room. Along with this is also an understanding of how emotions impact both the teaching and learning process. This workshop is an introduction to how teachers can develop and strengthen their teacher presence and engage in ways to facilitate language learning. Insights and practices from emotional intelligence, mindfulness, and Dogme ELT will be shared for teachers who are interested in being more present, response-able educators. 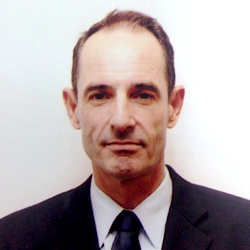 Richard Watson Todd is Associate Professor at KMUTT. He has a PhD from the University of Liverpool. He is the author of over 100 articles and several books, including Classroom Teaching Strategies (Prentice Hall, 1997), Much Ado about English (Nicholas Brealey Publishing, 2006), and Discourse Topics (John Benjamins, 2016). In the test-centric Thai education system, results on national exams are often viewed as indicators of educational success. These exams use multiple-choice which can have detrimental effects on students’ attitudes and learning. If school assessments also rely on multiple-choice exams, the situation is worrying, yet there is little data available on how English language courses at Thai schools are evaluated. This paper presents the initial results of a large-scale survey of the assessment practices of several hundred Thai teachers. On average, exams account for 42% of marks for a course, and 64% of exam scores come from multiple-choice (meaning that multiple-choice accounts for 27% of marks). Furthermore, a high proportion of teachers use some innovative and creative assessment practices, providing chances for further positive developments. If we view an emphasis on multiple-choice testing as detrimental, it is the national exams, not assessment at schools, that need to be changed. 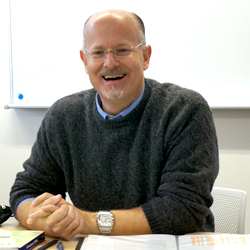 Richmond Stroupe is the current Chair of the International Language Education: TESOL Graduate Program at Soka University in Tokyo, Japan. 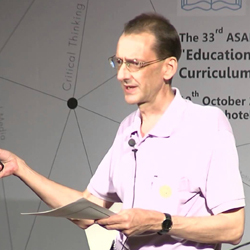 He has worked with university and professional language-learners from Asia since 1989, and his academic interests include curriculum development, teacher training and professional development, and enhancing learners' critical thinking skills. As educators, we are increasingly expected to help our learners become well-rounded “global citizens.” Questions arise as to what constitutes a “global citizen” and how can we develop these skills and / or characteristics among our learners? While higher levels of English language proficiency are important, as part of the global community, our learners will be required to be autonomous, confident and able to think critically. Learners will also need to effectively manage large amounts of information, use technology efficiently, understand the cultural perspectives of others, and work collaboratively. This presentation will present a “global citizenship” program developed for select students at a private university in Tokyo, Japan. Looking back over the past 10 years of the program, the presenter will describe the nature of the program, challenges faced and successes realized during its implementation, and recommendations for others who may want to develop similar programs in their educational context. 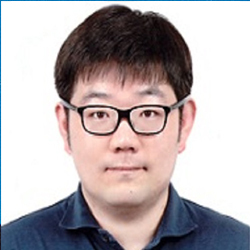 Hyoshin Lee is an associate professor at the Dept. of English Language and Culture, Konkuk University Glocal Campus, Korea. She has been involved in a wide range of English education including teacher education, education policy and curriculum development. 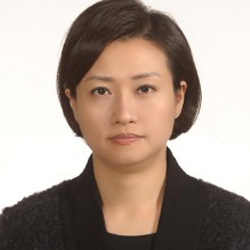 She is currently working for the AsiaTEFL as a vice-president on finance division. This study aims to analyze the effectiveness of the English language assessment in relation to the achievement level defined in the national curriculum for the successful implementation of the English education policy aimed at improving the English communication ability. Considering that middle school English education should be done in vertical relationship between elementary school and high school English education, questionnaire survey was administered to elementary, middle and high school teachers and 227 of elementary school teachers, 210 of middle school teachers and 218 of high school teachers answered the questionnaire. The research findings show that teachers are positive about the necessity of alignment of curriculum – teaching practice- assessment and responded that they were practicing in school field. In addition, the middle school teachers practicing the free school system showed a statistically significant positive evaluation with the other groups. Currently a teacher trainer with a music degree from the University of Otago, New Zealand and a Masters in Educational Administration from University Putra Malaysia. She specializes in music pedagogy, piano playing and research in music. While pursuing a Doctorate, she actively presents and publishes interdisciplinary research studies and innovations. ZEM HOTs KIT is a rich resource for educators teaching students with mixed abilities to stimulate their thinking skills through the integration of 3Es in the arts. One of the problems faced by speakers of English as a Second Language in oral communication is the lack of confidence due to inadequate knowledge of grammar and vocabulary. ZEM HOTs KIT adopts collaborative activities for building communication skills in English. Students working in groups mutually search for understanding or meanings, create a product and in the process they Negotiate Meaning (NoM). Using various higher order thinking tools in ZEM HOTs KIT help educators in creating a challenging learning environment to communicate in English. The thinking kit is beneficial in transforming the learning environment in the 21st century. This workshop aims to help educators and students from different levels to incorporate higher order thinking tools and the arts in a collaborative learning environment. Yiu-nam Leung earned his Ph.D. from the Program in Comparative Literature, University of Illinois, USA. 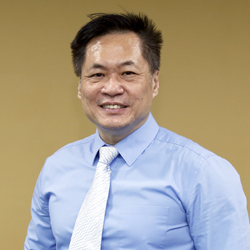 As the president of ETA-ROC, he is Adjunct Associate Professor at the Department of Foreign Languages and Literature, National Ilan University, Taiwan. He published articles on teaching literature and Anglo-American literature. His research interests include teaching literature, writing, and Anglo-American fictions. Improving EFL learner’s language skills has always been a very important component in language teaching in Taiwan, where English is still considered as a foreign language. Ways of improving students’ language proficiency are multifarious. A case in point is via teaching English essays. Essays constitute good teaching materials, for they are short, interest, and encompassed a lot of writing techniques as well as profound messages. This presentation is by no means research-oriented; instead, it reports on the researcher’s classroom teaching experience based on a course offered at a college level designed to increase students’ language skills through the selected English essays. English essays whose length consists 5 pages are chosen so that the students could read their assignments before classes. Different types of essays are introduced. It is hoped that students’ English proficiency, critical thinking, and organizational, interpretational, and thematic awareness will greatly be improved through reading and studying essays. 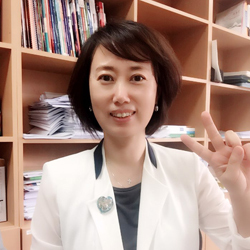 Yuah V. Chon is an associate professor of English language teaching at Hanyang University in the College of Education, Department of English Education, South Korea. She is interested in a range of topics, including learner strategies with a focus on vocabulary and pedagogical use of corpus, and metacognitive awareness and knowledge in second language listening. Metacognitive awareness (MA) and academic motivation (AcM) play an important role in self-regulated learning (SRL). However, little is known about the different profiles of self-regulated learners in EFL (English as a Foreign Language) middle schools who are trying to improve their second language listening skills. The aim of the study was to examine intraindividual differences in the patterns of students' motivational metacognitive profiles in reference to their listening ability. Questionnaire for MA and AcM were administered with 312 Korean middle school learners of English from intact classes after a listening test had been administered. A person-centered approach through latent class analyses revealed four-cluster solutions. They were identified as the 1) "Why English/Translators" 2) "Reward-Seekers/Don't do much Planning or Evaluation" Group, 3) "Face-savers/Totally Alert" Group, and 4) "High Autonomous Motivation/Achievement Strategists" that ranged from the lowest to the highest listening scores. Results are further discussed with regard to the learners’ socio-educational background. Itje Chodidjah is an independent teacher trainer in English education. With more than 35 years of experience, she develops expertise in project design, implementation and monitoring in a range of settings. Her main interest is curriculum, training and PD. She got her MA from Warwick University and PhD from UPI Indonesia. The need to develop key skills for 21st century life has been discussed in many education fora. There are at least 4 skills i.e. critical thinking, communication, collaboration, and cultural, often shorten as 4C’s. Teachers and authorities work hard to adapt syllabus and instructional materials in order to fulfil the skills need for the 21st century students. One thing often forgotten is how teachers can bring about the change in their teaching. The 4C’s are not entirely about the syllabus and instructional materials, they are about development of the skills in the learning process. Teachers need to develop these four skills for themselves. Delivery by teachers most probably gives more impact to the students’ skills development. This presentation is to discuss some PD activities that teachers can do to sharpen their 4C’s skills or maybe more. 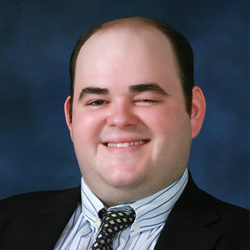 Victor Reeser has been teaching in Asia since 2009. He currently works as an assistant professor in Hanyang University’s Creative Convergence Education Center. He also conducts training workshops for university instructors and school teachers. His research interests include edtech integration in language classrooms, vocabulary study methods, and corrective feedback practices. Education technology is in abundance in today’s language classrooms. While many educators are keen to bring the newest edtech into their classes, it is important to evaluate new edtech to determine how it can further your goals in the classroom before introducing it to students. The method of edtech evaluation being discussed today is the SAMR model of analysis. It provides a way to describe the “process” and the “product” of different edtech. The SAMR model enables teachers to effectively evaluate, integrate, and even develop their own uses for all types of edtech. By the end of the workshop, attendees will be able to assess new technologies and determine whether to implement or avoid them in their own classes. Jae-Seok Yang, Ph.D. is an assistant professor in the Department of English Education at Daegu National University of Education. His research interest includes language learning strategies, mobile-assisted language learning, and the use of technologies in language teaching and learning. Strategy-based instruction focuses on teaching language learners ‘how to learn’ English to enhance their learning and develop learner autonomy in learning English. Ultimately, the employment of language learning strategy facilitates language learner’s motivation and self-efficacy, which lead to developing the effectiveness of language learning. This presentation explores the integration of strategy-based instruction (SBI) into the primary English education in EFL context, and investigates the empirical findings regarding the impact of SBI on learner’s awareness of language learning strategies and learner autonomy. As a part of larger research, this study describes the implementation of SBI model into the curriculum of English education in primary school in EFL context in South Korea. Also, this research reports the on-going findings regarding the impact of SBI on English proficiency after conducting the SBI instruction. 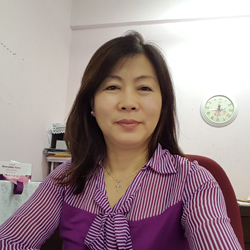 Denise Seok Hoon Quah has been involved in the training of pre-service and in-service English language teachers in Malaysia for the past 15 years. Prior to this, she taught in both primary and secondary schools. Her research interests lie in the fields of TESOL, classroom discourse and multimodal communication in both online and offline contexts. In an era where the attention span of learners is growing shorter and shorter, it is increasingly difficult for teachers to engage learners and sustain their interest. This presentation aims to show how paper foldables can be exploited to help learners stay on-task by injecting fun into the learning of English. Through foldables too, students can have a sense of ownership in their work and this reinforces learning. The use of foldables can serve as an effective and creative alternative to boring worksheets. At the same time, student engagement is maximized and possibly far exceeds traditional handouts. In keeping with the digital era, this workshop also incorporates technology into learning with foldables. 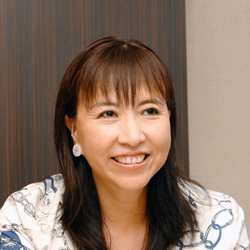 Dr. Naoko Ozeki is a professor at Meiji University in Tokyo and a vice president of the JACET. Her areas of interest are ELT, speaking production, and learners’ autonomy. She works actively to improve English education in Japan with the education board and the Ministry of Education in Japan. This paper presents the results of the survey about college English teachers in Japan administered by a special committee of JACET (Japanese Association of College English Teachers). 865 teachers responded to the survey. In comparison to a similar survey in 2003, results indicate significant changes of their situations and roles. For instance, the number of the teachers who have obtained a doctoral degree has increased to 46.7% in 2017 compared to 10.1% in 2003. On the other hand, the number of tenure-track teachers has decreased. Furthermore, there has been an increase in the number of contract teachers, a situation that did not exist in 2003. Working conditions have deteriorated, as teachers are required to achieve unrealistic objectives in English education and deal with additional responsibilities such as the preparation and supervision of the entrance exams and international exchange. 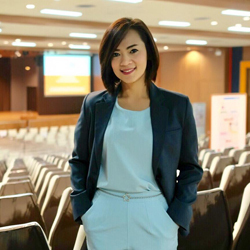 Chamnong Kaewpet is an assistant professor at Faculty of Liberal Arts, Rajamangala University of Technology Krungthep, where she teaches argumentation and independent study. She obtained a doctoral degree from Melbourne University. Her research interests lie primarily in the same areas as the courses taught. She can be contacted at chamnong.k@mail.rmutk.ac.th. The session presents an updated criteria and scale for teaching, learning, and evaluating argumentation, and reports a comparison between the quality of a number of argumentation models and argumentation written by a group of EFL students. The models and students’ argumentation were scored by using the same criteria. Argumentation is identified as a CEFR language skill level at B2 and measured in most English standardized tests such as IELTS and TOEFL. It is also recognized as an important skill for success in daily life, education and careers. 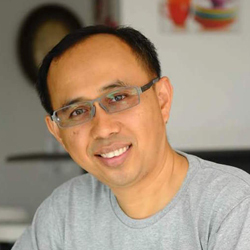 Alvin Pang is the Head of Training, Research, Assessment & Consultancy Department at SEAMEO Regional Language Centre in Singapore. He has been involved in both language teaching and in-service teacher training and professional development. Creative use of language awareness (LA) activities is a pedagogy which aims to engender LA by engaging learners with the language. It involves learners in talking analytically about language and through the use of languaging (i.e. use of language to mediate cognitive activity as defined by Swain, 2006). Swain posits that one way of learning a second language is languaging about language. The process of talking about language and making explicit the workings of language requires learner interaction and engagement with language (Svalberg, 2007 & 2009). This paper will present some creative use of language awareness activities in the classroom to motivate and engage learners with the target language. It will provide examples of the different types of LA activities, including phonetic awareness, grammar awareness, word order, lexical awareness, and discourse awareness. It will end with a discussion on the implications of LA and its relevance to ELT.